The former Union minister also said that falsehood was the \hallmark of the Modi government and it has failed to fulfill several promises such as on generating jobs. NEW DELHI: Renowned journalist and former Union Minister Arun Shourie on Sunday alleged that there is too much centralisation of power in the Prime Minister's Office because of the insecurity of the "top boss" Narendra Modi. He also said that "falsehood" was the "hallmark" of the Modi government and it has failed to fulfill several promises such as on generating jobs. Participating at the Times Lit Fest here, Shourie, who was a minister in the Atal Bihari Vajpayee's NDA government, said: "A person who is psychologically secure, he will not be nervous of any situation. And a person who is psychologically insecure will never allow others who have a base of expertise to come near (him)." "Today donkeys have become horses. And the leader can choose who he will be surrounded by," said Shourie, who is a leading critic of Modi's Bharatiya Janata Party-led government. He also said that "today there is a greater centralisation of power in the PMO". He also said that the National Democratic Alliance (NDA) government was very sensitive to criticism. "Now Modi Saheb never says 'Mitron', as he was ridiculed on the social media. Similarly the way in which he used acronyms in the very first year but after being ridiculed, he stopped using it. He also said that he finds Modi as a "very astute politician". "If he realises that he has not been able to deliver on his promises of development, therefore they (BJP) have to revert to the only trick they know that is to divide the people and conquer," he said. Citing the government's "falsehoods". 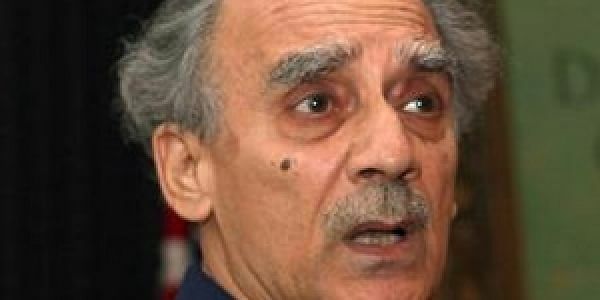 Shourie said said that he can give many examples of that in the form of full page advertisements in the newspapers showing "government statistics of generating over five and half crore job by MUDRA scheme" only. "But we should not be surprised at this.... falsehood has become the hallmark of this government," he said. Shourie also stressed that we should not examine what a person or leader has been doing for a long time but examine their work "minutely". Citing Mahatma Gandhi, he said: "Very important point that Gandhiji use to make 'don't go by what he has been doing but go by his character' and 'what can you learn about his character?'. "And we have missed that twice both in the case of (former Prime Minister) V.P. Singh and Narendra Modi. They just say whatever is convenient at the moment," he said. Slamming the government over the short winter session of Parliament, Shourie said: "Today we are surprised by the centralisation of the power but that is the Gujarat model. "We have been surprised as the cabinet has reduced to a nullity but that is the Gujarat model... we are surprised by the fact that the Parliament has been reduced to the status of the state assembly but that was the Gujarat model... and all the agencies and institutions are being the instruments of a coterie but that is the Gujarat model." He also slammed the government over issues like intolerance, violence and even the debate over ideological differences.